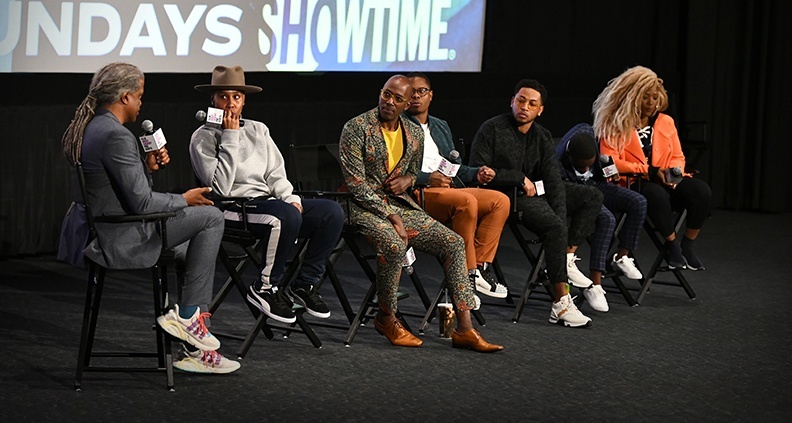 Though it happened on April 1, Monday’s Film Independent Presents screening of the Season Two premiere of Showtime’s critically acclaimed series The Chi was anything but an April Fools’ Day joke. 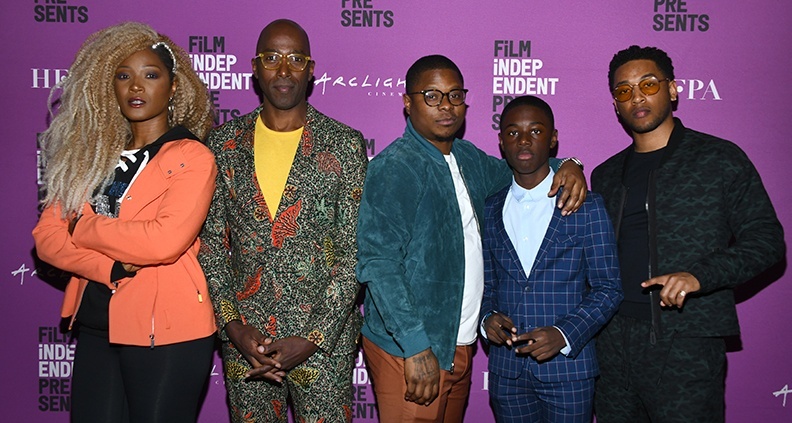 The ArcLight Theater in Hollywood was packed wall-to-wall with fans of the show created by Lena Waithe and starring Jason Mitchell (Straight Outta Compton), Jacob Latimore (Sleight), Alex Hibbert (Moonlight), Yolonda Ross (The Letdown), Ntare Guma Mbaho Mwine (Queen of Katwe), Armando Riesco (Bull) and Tiffany Boone (The Following)—plus Barton Fitzpatrick, Shamon Brown Jr. and Michael V. Epps. The timing of the screening—the day after rapper and community bridge-builder Nipsy Hussle was shot and killed, not far away, in Los Angeles—only seemed to reinforce the series’ emphasis on neighborhood pride, familial loyalty and taking responsibility for one’s city. “The timing is crazy,” Waithe said in an incisive post-screening Q&A, to Film Independent Presents Curator Elvis Mitchell. She continued: “My heart is heavy for our fallen soldier, Nipsy. He left so much behind. But when we look for him, we look at his music.” Waithe identified with the impulse to leave her own legacy, through her writing and through The Chi. The Chicago-set drama focuses on a group of residents who, on the surface, are linked by coincidence but who become bonded by the need for connection and redemption. But ripples of recognition and resonance swept over the audience as the slices of life and specificity of location hit close home, again and again. These were stories that they shared, that they remembered and that they understood. That effect is intentional, according to Waithe. “I think there’s this thing when people want to write about the urban community—‘a young black man uses basketball to get out of the hood.’ [But] when he leaves the hood, the hood is missing something. I was born in the Chi, but the Chi is inside of me,” a statement to which the crowd murmured in agreement. In the new season, Waithe looks forward to exploring fatherhood—the impact of fathers on her characters, the dynamics of black men and black women and the difference between what it means to be a man and what it means to be a black man. “There’s so much more pressure to provide, to be noble and survive.” She wonders how much of Emmett’s failure to mature is the result of his mom making him the man in her life. “It’s hard in the writer’s room,” she admitted. 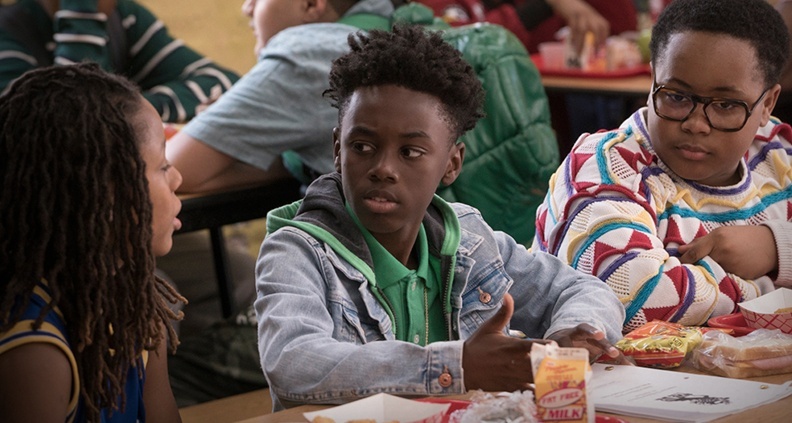 Season Two of The Chi premiered on Showtime on April 7 and airs on Sunday nights. Want to see Waithe and Brian Tyree Henry host the 2018 Film Independent Spirit Awards Filmmaker Grants and Nominee Brunch from January? Click here.